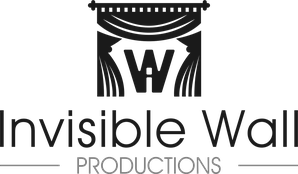 Invisible Wall Productions is a full service Arts, Entertainment, Events and Theatrical Management Company that also engages in Theatrical Producing. It was founded by Jenny Ainsworth in 2015. Invisible Wall Productions is a Tony Nominated Producer. It was a Co-Producer on the recent Broadway revival of Spring Awakening. It was also a co-producer on Clinton - The Musical (New World Stages) and an Associate Producer for The Visit on Broadway. It is currently represented Off-Broadway by The View UpStairs and Puffs. 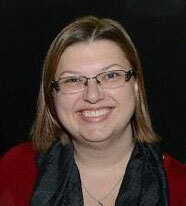 Jenny Ainsworth (Executive Director and Producer) has a Bachelor of Music (Arts Management) from the Australian Institute of Music and an MFA (Theatre Arts - Stage Management) from Columbia University. She has a range of Arts, Entertainment, Events and Theatrical Management experience gained from working in the field in both Australia and America. This experience runs the gamut from co-founding a semi-professional orchestra in Sydney and running its concerts for several years; managing a national singing program for seniors at Musica Viva Australia; acting as the PR contact at a NYFW Runway Showing; working in company management at The Eugene O'Neill Theater Center; and extensive experience as an AEA stage manager working the full spectrum of New York and regional theatre, including Broadway.